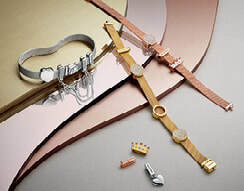 World-renowned for its hand-finished and contemporary jewellery at affordable prices, PANDORA designs, manufactures and markets jewellery made from high-quality materials. Inspiring women to embrace their individuality and express their personal style, PANDORA’s stylish and feminine jewellery captures the unforgettable moments and personal values in life. ​PANDORA’s unique and detailed designs combining traditional craftsmanship with modern technology are sold in more than 100 countries across six continents through approximately 8,900 points of sale, including more than 1,900 concept stores. Founded in 1982 and headquartered in Copenhagen, Denmark, PANDORA employs more than 17,800 people worldwide of whom approximately 12,000 are located in Gemopolis, Thailand, where the company manufactures its jewellery. PANDORA is publicly listed on the NASDAQ Copenhagen stock exchange in Denmark. PANDORA operates and manages a vertically integrated business model from in-house design and manufacturing to global marketing and direct distribution in most markets. PANDORA’s mission – then and today – is to offer women across the world a universe of high quality, hand-finished, modern and genuine jewelry products at affordable prices, thereby inspiring women to express their individuality. All women have their individual stories to tell – a personal collection of special moments that makes them who they are. That is why we celebrate these moments. That is why we say these moments are unforgettable.